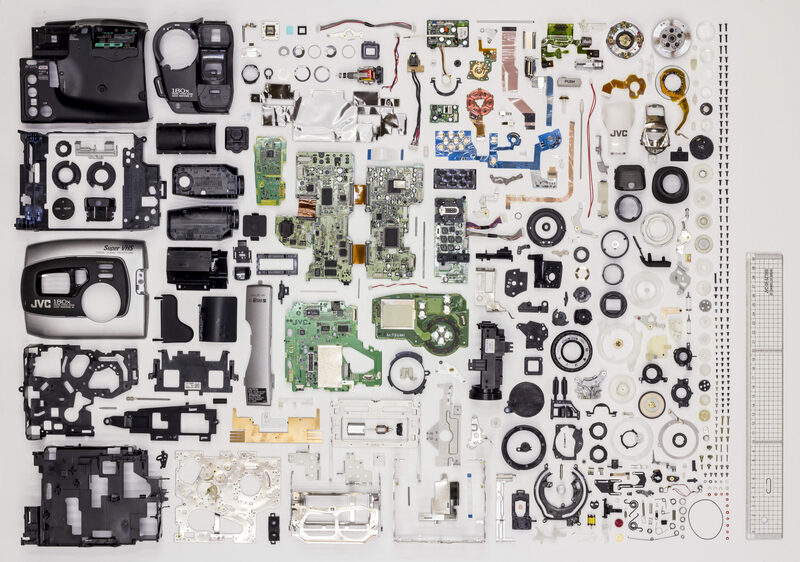 Taking apart broken camera's to see what's inside and laying the components out in a way also known as knolling. 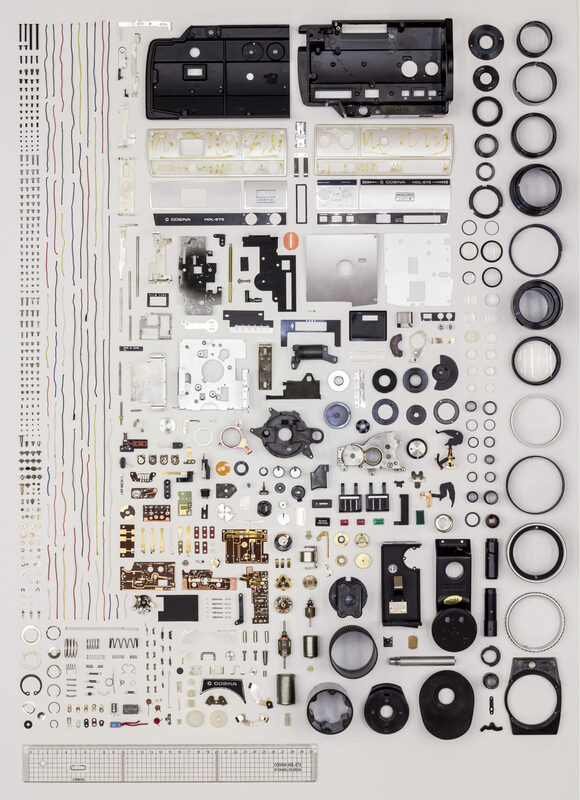 The FUJICA Single-8 P1 camera is made up out of 337 parts of which 116 are screws. The JVC GR-SZ7000 VHS camcorder is build up from mostly plastic parts.